Many readers of book reviews are chiefly interested in the review in order to determine whether or not they should buy the book. 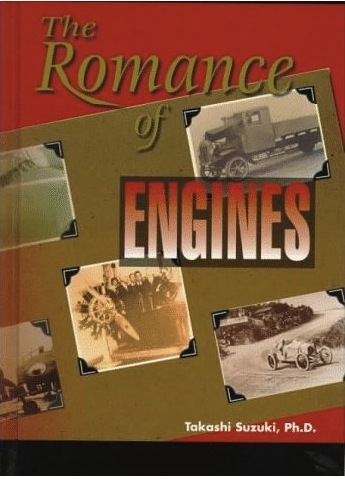 In this case, this reviewer can tell you that if you are at all interested in engines and their developmental history, you’ll want to know about this book! Suzuki was an engineer at Hino Motors Ltd. (a subsidiary of Toyota), a manufacturer of diesel trucks, buses, and other vehicles. Being a translation from the Japanese, there was concern that this book might be difficult to follow. That concern was ill founded. While it is clearly possible to tell the work is a translation, it is very good and allows not only the subject of the text to come though clearly, but also allows the author’s passion for the subject to ring out. It is unusual to see strong personal interest shown so distinctly, and equally unusual to get such a bright insight into an author’s personal experiences and reasoning. The title word “Romance” is well chosen. The work starts with very early engine development—indeed external combustion engines such as the Newcomen and Watt steam engines. While it is unfortunate that Newcomen engine operating principles and the Carnot cycle are not more clearly explained, Suzuki does a wonderful job of explaining engine development steps and how those responsible interacted. Throughout, the book is illustrated with many well-captioned photos and scores of graphs and tables as well as cartoons by the author’s hand. In reading the book, nearly anyone will learn a lot of what is common knowledge to an engine developer. In addition, the average reader can gain profound insight into why things work the way they do and the reason why engines are designed as they are. While a “beginner” could read the book easily, some advanced understanding is helpful at times. 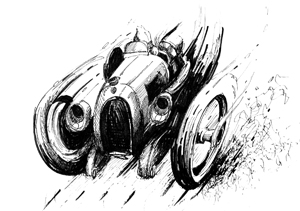 Several areas are particularly interesting, such as the section on Sadi Carnot and, with a little mental effort, the ones on compression ratios and piston weights and their effect on engine efficiency. On the historical side there is additional surprising information regarding the Czech Tatra, Adolf Hitler, Ferdinand Porsche, and the Volkswagen, but the most interesting thing about this book is the perspective of the author. Three things are apparent. First, his perspective is neither American, English, nor Continental. Most English-speaking people seldom see things from such a perspective. Second, it is from the perspective of someone who is passionate about the development of not only engines, but the engineering management that is required for it to really happen. Thirdly, the most interesting thing of all, is the insight a reader gleans when he reads a work written by someone who is obviously doing something that he knows how to do! Very detailed Table of Contents. References. Index. This book is a revised and expanded version of Suzuki’s 1980 work The Heart of the Engine. 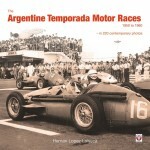 The 1997 print version has been sold out for some time and the book is currently available from the publisher in two different electronic formats: pdf ISBN: 978-0-7680-2578-1, $15.99 and ePub ISBN: 978-0-7680-2580-4, $17.99. Copyright 2010, Bill Kennedy (speedreaders.info). Adapted from a review first published in the May/June 2001 issue of The Flying Lady, the periodical of the Rolls-Royce Owners’ Club (RROC/USA).